It started with a Union nurse, an Officer, and a Promise. 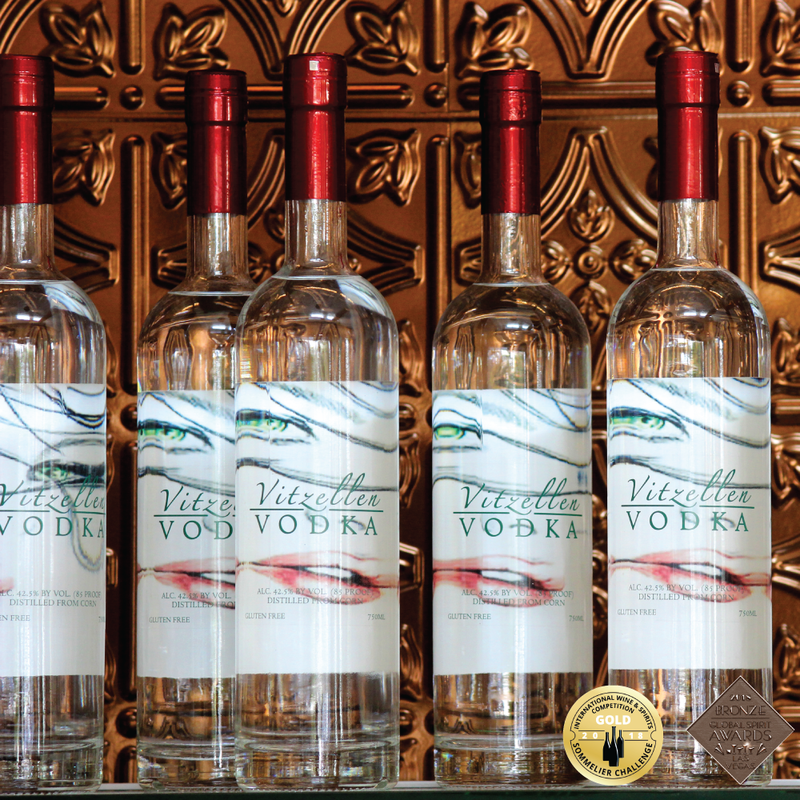 Vitzellen Vodka is named in honor of a nurse serving during the civil war in the Old Capitol Prison of D.C. Taking special interest in officer John A.P. Conoley from Jeb Stuart’s Calvary, she made every effort to ensure he survived. In return, John promised Nurse Vitzellen he would name his first daughter after her. In 1868, Alice Vitzellen Conoley was born. The Vitzellen name continued in the family with the birth of Cornelia Vitzellen Moffit in 1926 and will be forever honored through Vitzellen Vodka. Vitzellen Vodka has won multiple Bronze and Gold medals nationwide in just the few months it’s been available for purchase and tasting. It’s subtle, delicious flavors make it an excellent choice for sipping or mixing. Vitzellen Vodka will soon be available in flavors. Keep a look out at your local ABC Store! This American-made whiskey is crafted using proven processes famous in Scotland and Ireland. 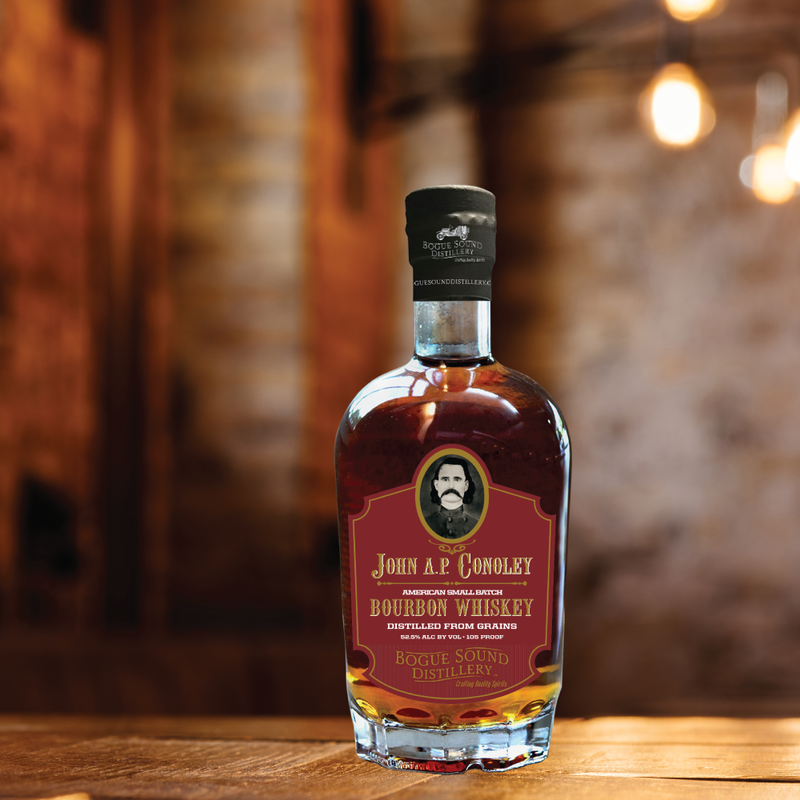 John AP Conoley Whiskey is available in a small barrel, Limited Edition whiskey, a Rye Whiskey, and later to come, a single malt American Whiskey. Named for John A.P. Conoley, this fine whiskey’s journey began when John’s father-in-law transported a still from Scotland to America to produce whiskey and brandy to provide for his family. The still was housed in John and Sara Conoley’s barn until it was stolen, later confiscated by a local sheriff and ultimately donated to a museum in Raleigh. John A.P. Conoley American Whiskey is rich in history and smooth in taste. 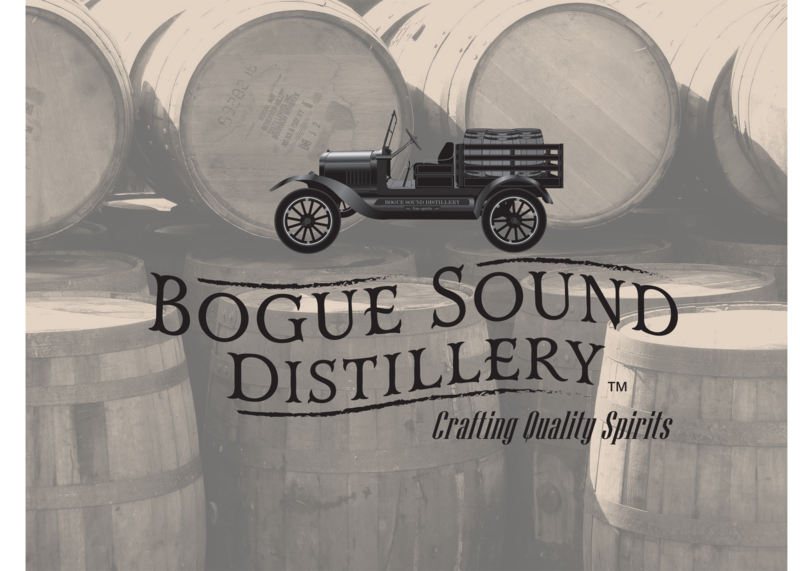 Available ONLY at Bogue Sound Distillery for purchase. Limited Release. First come, first serve. Our Bombshell Gin offers a crisp, cucumber taste. Like our other spirits, the name derives from a deeper heritage. 1st Lt Harold J Chapman, father of our founder, Richard Chapman, was the Pilot of the Carolina Queen, a B-17G Bomber during WWII. January 11, 1944, the Carolina Queen set out for it’s 14th and final mission at 0845. It was attacked and of the 10 crew members, 5 were KIA and 5 were POWs. 1st LT Chapman was one of the surviving POWs. 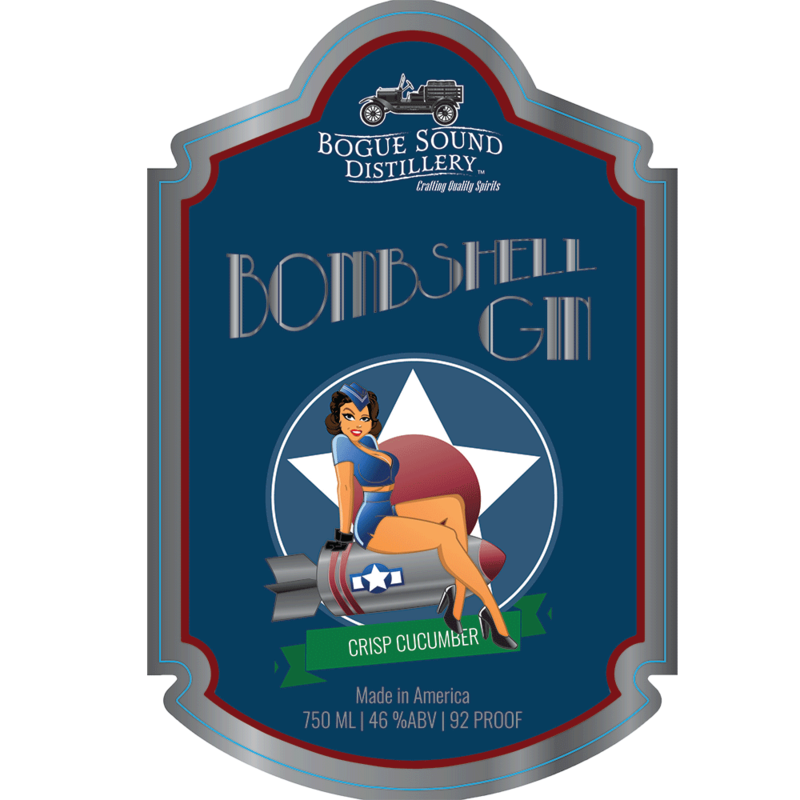 Bombshell Gin has been created to commemorate the brave acts of the Carolina Queen crew.